There have been a ton of bands filing back into the limelight recently to instigate reunion shows, tours, and entire albums. The Pixies have been holding a reunion party since 2011’s “Doolittle Lost Cities” Tour, and have since lost Kim Deal… again. Alice in Chains has been reforming over and over again since 2005. Sebadoh is still playing shows in Brooklyn. A whole posse of bands, Everclear, Soul Asylum, Eve6, & Spacehog, are touring together for the summer. Now we can add Days of the New to the list as well. And no, it isn’t just Travis Meeks on a stage by himself playing Days of the New songs. 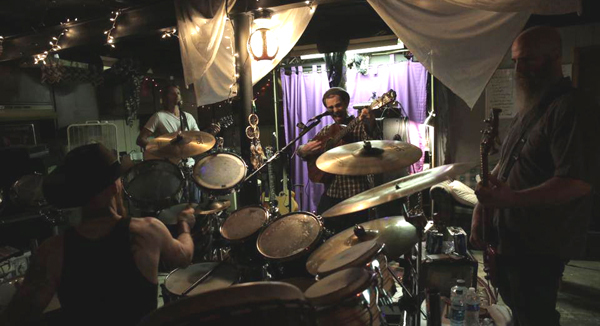 The entire band is back together again after sixteen years with a summer tour on the horizon and a possible EP to be recorded in 2014… provided the band-mates can hold it together this time. Days of the New is comprised of lead singer and guitarist Travis Meeks, bassist Jesse Vest, guitarist Todd Whitener, and Matt Taul on drums. The original members performed together for the last time in October 1998. 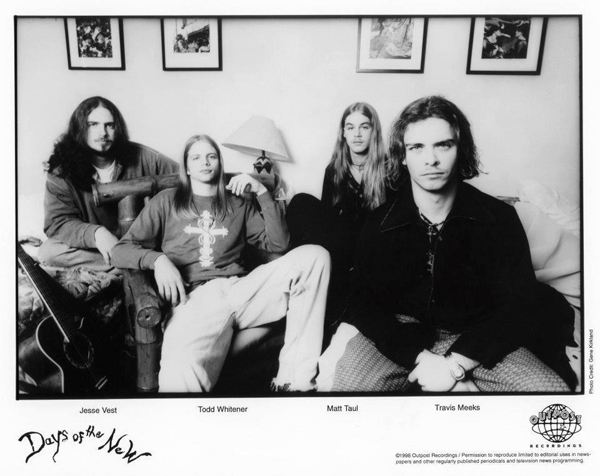 In 1997, Days of the New released their self-titled debut CD, spawning three massive rock hits “Touch, Peel and Stand,” “The Down Town,” and “Shelf in the Room.” The disc sold close to 2 million units. In 1998, Meeks and his band members parted ways under controversial circumstances. Meeks continued as Days of the New, while Vest, Taul and Whitner formed Tantric. Now a reunion has finally materialized, and fans aren’t the only people excited. “I’ve experienced plenty of success in other projects, but nothing ever felt like Days did. This band was never easy, but the music was always magical,” Vest explained. “There will be some very exciting and different things planned for each show,” added Days of the New’s lead singer Travis Meeks. Currently rehearsing in Louisville, Kentucky, the founding members of Days of the New are looking forward to reuniting on stage this summer. There’s something about the chemistry between the four of us, it has a power and a life of its own,” affirmed Vest.